One of many threats to survival of Painted terrapin (Batagur borneoensis) in wild is habitat loss. Painted terrapin inhabits rivers and branches, estuaries. The destruction of riverine vegetations is believed will bring negative impact to Painted terrapin. The destruction and losing of riverine vegetations are meant losing of food and place for basking. The feed of Painted terrapin is rely on riverine vegetations such as Berembang (Sonneratia sp.). The ripe fruit of Berembang will fall into river and eaten by Painted terrapin. Painted terrapin is also utilize log in riverine for basking. Basking on log is natural behaviour of this critically endangered species. Therefore, losing of riverine vegetations will bring impact to this freshwater turtles and it is unknown how this species will adapt to that environmental changes. The habitat loss is caused by land converted to farming, oil palm and produce charcoal. Although it is prohibited by law for cutting down the riverine – to 100 meter in distance – trees, the conversion still continue. The reason of conversion is always economic interest: to increase villagers economic welfare. Hundreds of hectares of riverine areas have been converted. This conversion is also bring negative impact to fisheries. Mangroves is area of fish spawning, crabs, shrimps. Unfortunatley, it is not realized by villagers. Although, fishermen is dominant occupation of villagers. 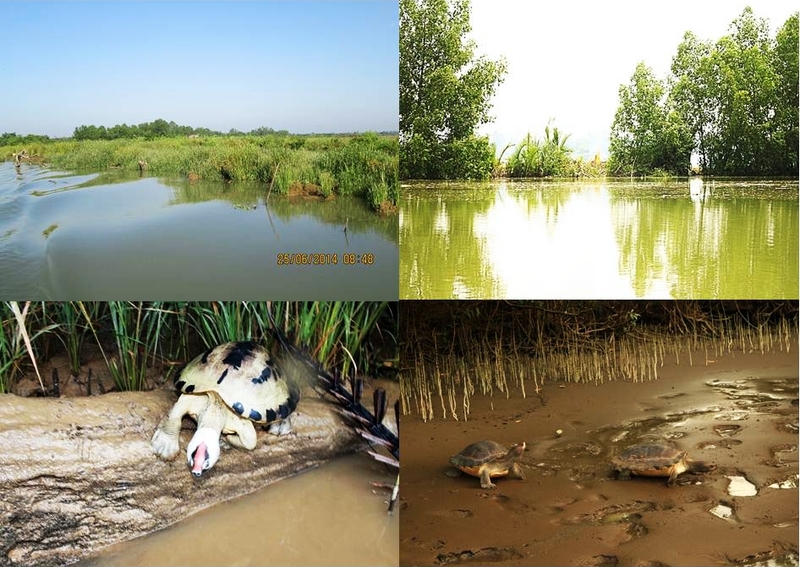 The riverine vegetations are important not only for Painted terrapin, but also for people, fisheries and another wildlife such as birds, mammals. Therefore, reforestation the riverine with native trees is urgent and significant to implemented.